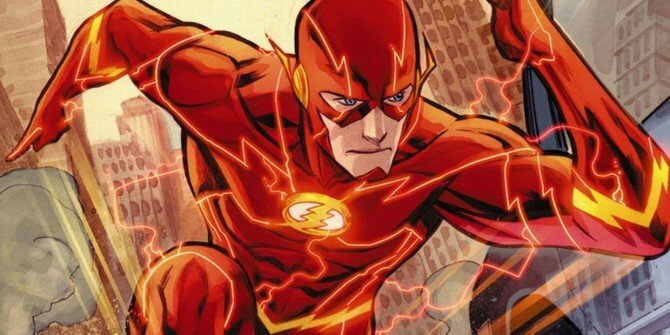 The Flash Movie Loses Its Director Over "Creative Differences"
Work on the Fastest Man Alive’s solo movie just came to a screeching halt with the news that Seth Grahame-Smith has departed the DC Comics adaptation over “creative differences.” Set to be released on March 3rd, 2018, The Flash will see Ezra Miller suit up as the Scarlet Speedster after joining the rest of the DCEU’s heroes in next year’s Justice League. Details on what these “creative differences” may have entailed have yet to be revealed, but Warner Bros. will apparently keep Grahame-Smith’s screenplay (which was written based off a treatment by The LEGO Movie helmers Phil Lord and Christopher Miller). However, a new filmmaker taking over the project could lead to at least some changes being made to the script. Regardless, The Flash would have marked the directorial debut of Grahame-Smith, who’s most well known as the author and screenwriter behind the likes of Pride & Prejudice & Zombies and Abraham Lincoln: Vampire Hunter. Perhaps it was a lack of experience that led to his departure? At this time, we just don’t know. What we do know is that the studio has plenty of time to find a replacement. It’s been said in the past that The Flash will be much lighter in tone than the other DC Comics movies, so it could be that Warner Bros. will now start looking for filmmakers with more experience in the comedic realm rather than the horror one. For now, we’ll just have to wait and see.